The calendar may say 2013, but at the multiplexes this year, it sure feels like 1988. In January, Arnold Schwarzenegger and Sylvester Stallone both headlined their own action flicks. Now Bruce Willis is reviving his John McClane character for another Die Hard sequel. But anyway, that’s right: Wisecracking New York cop John McClane is back, for the fifth time. Don’t get too excited. In the earlier films in the series, McClane was the right man in the wrong place at the wrong time, completely outmatched against some real bad guys, but winning anyway thanks to his resourcefulness and charm. Those were great movies. In fact, the first one is a true classic. As the series has gone on, however, McLane has increasingly been the wrong man in the wrong movie. 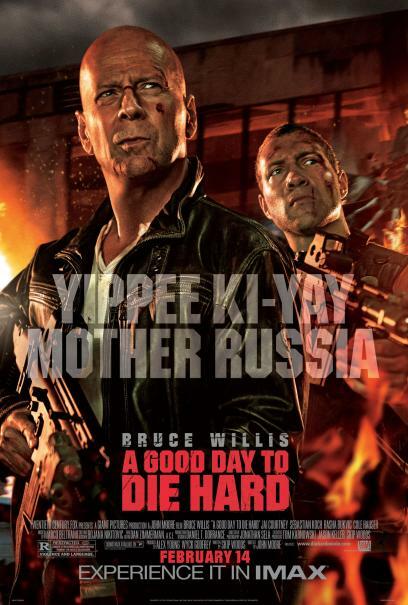 And in this latest go-round, the cumbersomely titled A Good Day to Die Hard, he’s as unnecessary as he’s ever been. 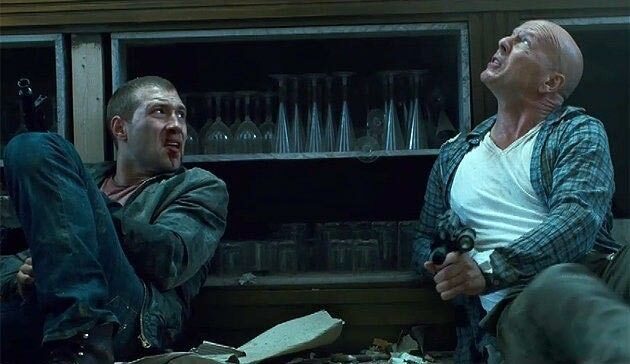 Here, McClane jets off to Moscow to bail out his son, Jack (Jai Courtney), who’s in the middle of a sketchy situation involving an enemy of the state and a corrupt government official. The plot’s inconsequential, though, because really, the film’s basically just a bunch of explosions and crazy action scenes strung together, with Willis doing his best to go along for the ride. If you like that sort of thing, then the movie’s not so bad. Director John Moore, whose credits include the Mark Wahlberg vehicle Max Payne and the Gene Hackman–Owen Wilson film Behind Enemy Lines, shows a proficiency for big, loud, digitally enhanced action set pieces. They don’t make sense in the least, but whether it’s a car chase on the highway, an escape from gunfire in a high-rise hotel, or a shootout in Cheronobyl, stuff gets blow’d up real good, and watching it unfold can be a good time. But don’t forget, this is a Die Hard movie, and with that comes certain expectations that A Good Day can’t live up to. Like the last film in the series, 2007’s Live Free or Die Hard, it seems like McClane was retrofitted into a story that wasn’t intended for him. Some studio execs must have figured that as long as Willis was attached to star, the film would have a better chance at the box office with the words Die Hard in the title than without. That may be true, but fans of the series are bound to be disappointed. 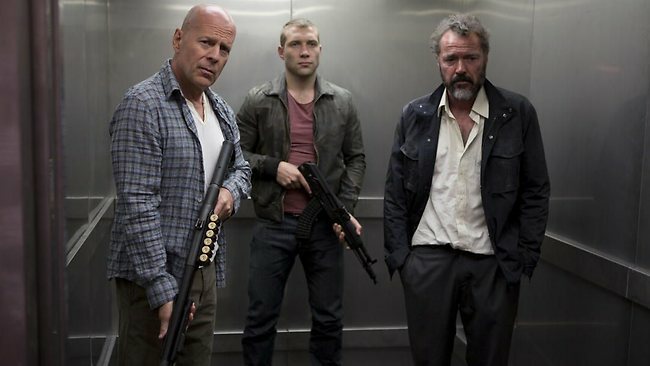 The father/son story line here is weak and forced (they don’t even look like they’re related), the bad guy doesn’t leave any impression, the screenplay is neither smart or quotable, and the whole way that McClane finds himself at the center of the action doesn’t ring true to the Die Hard premise. Add to that the fact that Willis himself looks tired of having to play out the same ole scenes and speak the same ole kind of dialogue; even the iconic “Yippee ki-yay” line sounds obligatory this time around rather than like the ballsy kiss-off that it is. You get the sense that Willis would rather stick to the more interesting movies he’s made of late (like Looper or Red) than do this shtick again. I can’t blame him. A Good Day to Die Hard isn’t an entirely bad movie, per se — count me among those who enjoyed the ridiculous action scenes — but it’s a bad Die Hard movie. And on the 25th anniversary of the release of the original, that’s a pretty bad way to pay tribute to one of the best action films of all time. Hopefully this will be the last movie in the series, so we can let Die Hard die, finally. I’m giving A Good Day to Die Hard a B–. Does a new Die Hard movie make you say “Yippee ki-yay” … or “Yippee ki-nay?” Share your thoughts in the comments section below.